If you are experiencing a flare in sciatic pain, a new mattress is a good investment. Old mattresses that have been used for a decade or more tend to sag and will have issues supporting proper spine alignment. Doctors recommend mattresses that are “medium-firm” are the best for sciatica sufferers, though consumers should choose based on personal preference and comfort. The best way to try different mattresses would be to go to a store, though mattress retailers generally charge overhead, and you can usually get a better price from the manufacturer. Also, just because something feels good when you lie down on it in the store, doesn’t let you know if it will hold up over a longer time period. Many manufacturers offer trial periods where you can try out the mattress for a few months, and then send it back if it doesn’t meet your expectations. It is good to remember that many mattress manufacturers and retailers offer promotions and coupons to significantly drop the price of their mattresses, so we recommend checking to see if there are available savings before you purchase. The Saatva Mattress is a combination of innerspring and memory foam that ranked out as the best mattress for sciatic pain based on our methodology. The mattress comes in three different levels of cushion: plush soft, luxury firm, and firm. We recommend the firm mattress for sufferers of sciatica as it provides a high level of support for your lower back, though the luxury firm version is their most popular model. The mattress comes in an 11.5-inch version and a 14.5-inch version, which both cost the same. It is made from four different sections: the top section is a 1.25-inch Euro Pillow Top Cover which is meant to provide cushion and pressure point relief; the second section is a Visco Lumbar Pad that is about .75 inches, and provides support for your lumbar section that sciatic sufferers need; the third section is made of individually-wrapped coils that provide a springy bounce for comfort; the bottom section is a steel-coil base-support system that is meant to provide stability and durability for the mattress. 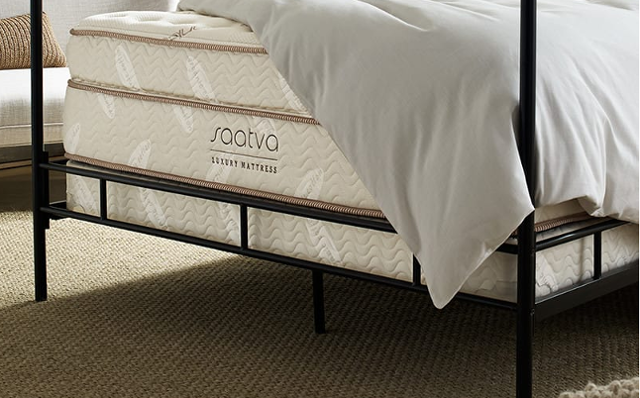 The Saatva mattress combines the comfort of a foam bed with the support of coil-on-coil system, giving it a high level of comfort with great edge support that provides a wider sleep surface than typical foam mattresses. Chiropractors and orthopedists have taken notice, as the Saatva mattress has earned the Congress of Chiropractic State Association’s Seal of Approval. You can test out the support system for yourself with their 120-day home trial period. The mattress costs $599 for a twin size, and goes up to $1,399 for a King or California King size, and they come with a 15-year warranty. The company also offers home delivery and free mattress and foundation removal. The Saatva Matress’s combination of coil spring support and memory foam comfort made it our favorite mattress for sciatic pain relief, and it would be a great choice for anyone looking to relieve their lower back. Here’s the link to online retail. The Tuft and Needle Mattress is a 10-inch foam mattress that is in the medium-firm to firm range and is comprised of 2-layers of foam. The top section is a 3-inch layer of adaptive comfort foam that feels like a mix between memory foam and latex, while maintaining a cool temperature as it is infused with cooling gel. The lower section is a 7-inch layer of dense support foam that promotes stability and proper spinal alignment. 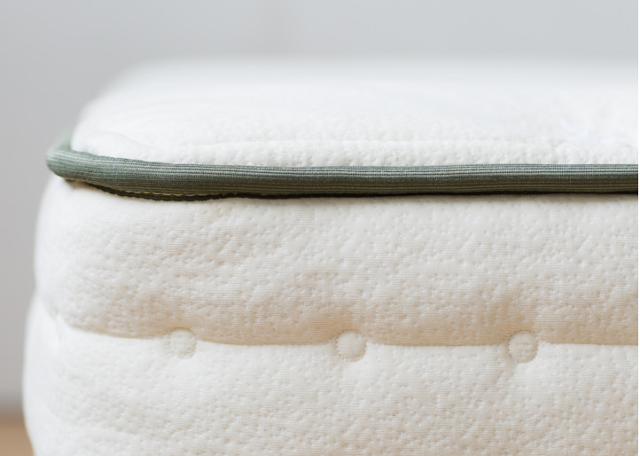 The Tuft and Needle mattress comes with three certifications that guarantee safety: a CertiPUR-US certification, that ensures eco-friendly materials; a GreenGuard Gold certification which means it has undergone stringent testing of the air quality that results from its off-gassing; and an OKEO-TEX certification that ensures its safety for babies and toddlers up to 3-years of age. The mattress is one of the most supportive on the market, and its firmness can be uncomfortable for some people, but many found it to be a great level of cushion for sciatic pain. You can test out the support for yourself, as The Tuft and Needle mattress comes with a 100-night trial period. The mattress costs $325 for a twin size, and goes up to $700 for a King or California King size, and all sizes come with a 10-year warranty. 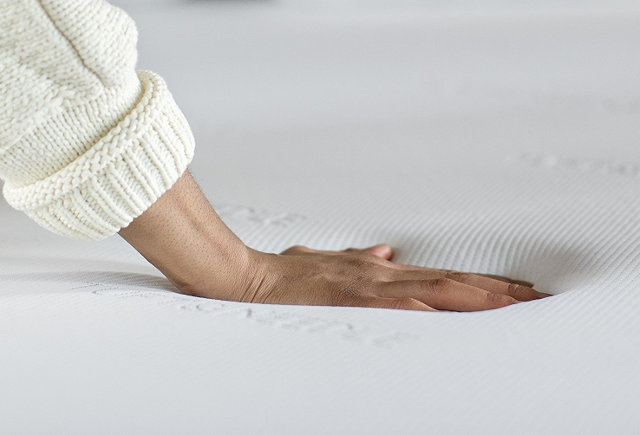 The Tuft and Needle Mattress rated out the highest in our methodology among foam mattresses, as it provides a high level of support for sciatic pain. Amerisleep’s AS2 mattress is a 12-inch foam mattress with a Celliant cover. Their AS2 model is their “medium-firm” mattress option that is best for people suffering from sciatic pain, though they have softer and firmer options. 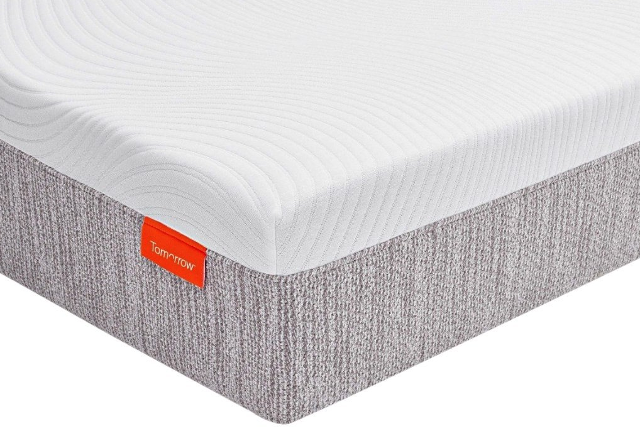 The mattress is made from two layers of eco-friendly, plant-based foam: the top layer is a Bio-Pur foam that is meant to be a comfortable and extra-breathable cooling layer with open-cell structure to relieve pressure points and keep you cool; the bottom layer is an ergonomic transition foam that is made with Surface Modification technology that has different zones to provide relief to key areas like your shoulder and lower back. The two layers of foam are encased in a Celliant cover that is made from thermoreactive yarn which turns your body heat into infrared energy to promote circulation and break down lactic acid in your muscles. The mattress has an excellent reputation for comfort, as the manufacturers designed it to “feel like you’re floating”, which you can test with their 100-day home trial period. The mattress starts at $799 for the twin size, and goes up to $1698 for the unusual, extra-large “Split King” size, and all models come with a 20-year warranty. The Amerisleep AS2 mattress is a high-quality option that is eco-friendly, provides great support, promotes good circulation, and would be a great choice for someone suffering from sciatic pain. Sleep Innovation’s Shiloh mattress is a two-layered, 12-inch foam mattress that is certified by CertiPUR-US. The top layer is a 2.5-inch SureTemp memory foam that contours to your body and relieves pressure points, and the bottom layer is a 9.5-inch Support-Plus foam that is meant to provides you support for proper spinal alignment. The manufacturer rates this mattress as “medium” though most reviewers found the mattress to be “medium-firm”, and taking a couple months of use before it breaks in. The base foam is very dense and causes the mattress to weigh more than most other foam mattresses, which provides better support and durability for heavier people. Among its special features are a fire retardant barrier and antimicrobial qualities that make it resistant to allergens and dust mites. The cover around the mattress is made of a soft poly-cotton blend that is both aesthetically pleasing and comfortable. One downside is that their 30-day trial period is shorter than most other mattresses, so you will have to be confident after the first month of use. The Shiloh mattress is a great deal however, as it starts at $356 for a twin mattress and goes up to $649 for a California King size, and comes with a 20-year warranty. For people who need a lot of support to relieve sciatic pain, and want a great value to boot, have a look at Sleep Innovation’s Shiloh mattress. The Tomorrow Sleep Mattress is a 10-inch hybrid mattress that combines the support of coils with the comfort memory foam. The top section of foam is comprised of three different types of foam: a top layer of cool memory foam, a middle section of airy comfort memory foam, and a bottom section of bounce foam, all of which are Certi-PUR US certified. The lower half of the mattress is made of ventilated pocketed coils which provide a higher level of support than most traditional foam mattresses. The mattress is offered in medium soft and medium firm, and we suggest the medium firm option for people who suffer from sciatica. The mattress also comes with an optional Sleeptracker Monitor that analyzes your sleep cycles, breathing rate, heart rate and movement to offer personalizes suggestions to help you sleep better. Serta offers a full year long free trial period, and will make arrangements to pick the mattress up if it does not meet your expectations. The price ranges from $450 for a twin bed and goes up to $1,150 for a California King bed, and comes with a 10-year warranty. 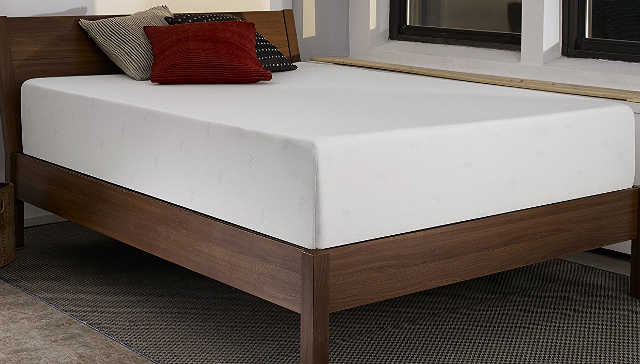 For people who are looking for the comfort of memory foam combined with the support of coils to keep their back aligned, Serta’s Tomorrow Sleep Mattress is a great option. The Bear Mattress is a 10-inch foam mattress that is designed to help athletes recover from the physical stress of their activities. The mattress is made up of four layers of three different foam that are all CertiPUR-US certified, and they are topped with a celliant cover that reflects natural body heat back as infrared energy, promoting your circulation and breaking up lactic acid. If your back pain comes from irregular muscle build up, this can be a great solution. The top layer of foam is 1-inch of cool graphite gel memory foam, which contours and keeps your body cool. The middle two layers are made of 2.5 inches of quick response foam that is meant to cushion your body and relieve pressure points. The bottom layer is a high-density foam base that is 6.5 inches thick and is meant to provide extra support, stability, and durability. Many reviewers of this mattress found it to be very supportive, and found that their neck and back pain were eased after a couple weeks of use. You can try for yourself as the company offers a 100-day trial period, if your back pain is not gone within the trial period, they will arrange a pickup and give you your money back. The mattress starts at $540 for a twin size, and goes up to $940 for a California King size, and it comes with a 10-year warranty. 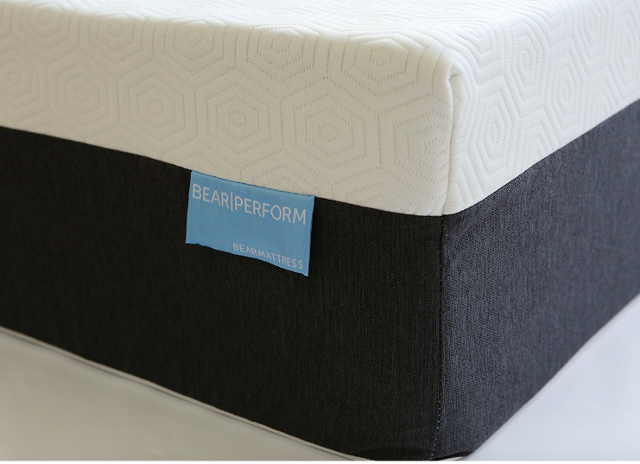 If you are an athlete who suffers from sciatic pain, or someone who suspects that the source of their back pain is muscular, The Bear Mattress could be the solution you are looking for. The Dynasty Mattress Cool Breeze Foam Mattress is made of four different layers of CertiPUR-US certified foam. The mattress is named after its 3-inch top layer of Sleep Cool Technology Foam which is meant to regulate your body temperature. There are two middle layers of 2-inch airflow foam which provide cushion and allow the mattress to breathe. The bottom layer is made of 5 inches of HD Base Foam which provides support. Many users found that the Dynasty mattress is more firm than most foam mattresses, allowing it to give good support for sciatic pain. The main complaint about this mattress is its durability, some users have found that it does not retain shape after a year or two, which is a common issue with some foam mattresses. Fortunately this mattress comes with a 30-year limited warranty, so the company stands behind its product. 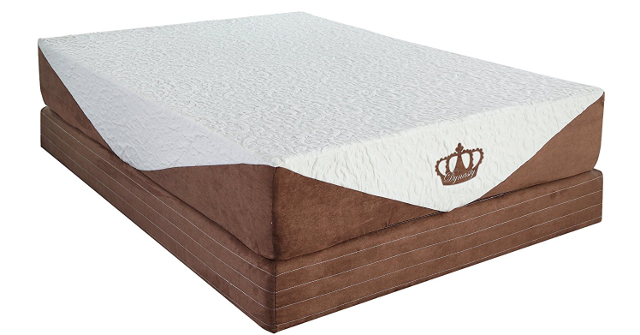 This mattress is also a very good value starting at $229 for twin size, and going up to $419 for a California King. For people with back pain who are looking to buy a new mattress with firm support without breaking the bank, the Dynasty Mattress Cool Breeze Foam Mattress is a solid option. The Helix Mattress is a fully customizable 10-inch foam mattress that is certified by CertiPUR-US. 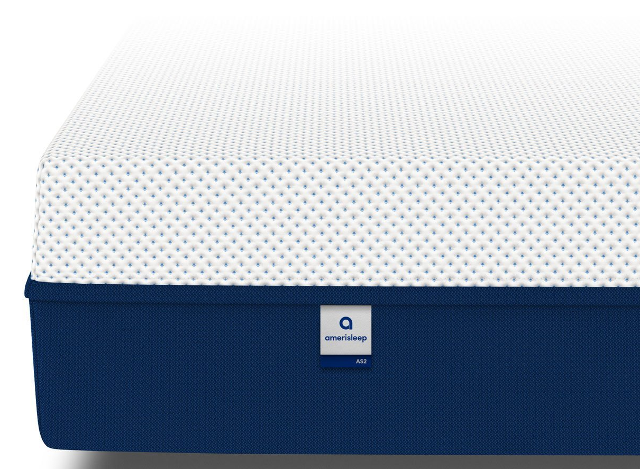 The mattress is comprised of three different layers: the top layer is Helix Dynamic Foam, which falls between the texture of memory foam and latex, and contours and cools your body; the middle section is Pocketed Micro-coils that distribute weight evenly, relieve pressure points, and provide spring; and the bottom layer is made of High-Grade Polyfoam that provides support and durability. The Helix Mattress offers you a questionnaire which analyzes your sleeping habits and needs and customizes your mattress to your specifications. You can even have the two sides of the mattress customized differently to meet the needs of you and your partner. The foam allows motion isolation, meaning you will not disturb your partner if you move during the night. There is also an option for how cool you want to keep your mattress, depending on whether you tend to overheat while you sleep. If you are not sure whether their customized mattress is right for you, there offer a 100-day free trial period to test whether it relieves the pain from your sciatica or not. The price of the Helix mattress ranges from $600 for a Twin size, up to $1245 for the California King, and it comes with a 10-year warranty. For people with unique sleeping habits who suffer from sciatica, the customizable Helix Mattress could be the answer that they are looking for. The Avocado Green Mattress is made up of 5 inches of natural latex rubber, 8 inches of pocketed support coils, and an optional .5-inch pillow top made of natural wool. Their materials each come with their own certification, and the whole product is Greenguard Gold certified. The Avocado mattress is made of three different zones, with your lower pelvic area being softer, the middle lumbar zone is more firm, and the shoulder area is softer, giving sciatica sufferers the lower back support that they need while maintaining overall comfort. The overall effect creates a firm mattress that provides a lot of support, though that may be uncomfortable for some people, and some reviewers found that it got pretty warm during the summer. Another issue we found is that some people find the buttons that keep the surface together slightly uncomfortable. We recommend taking advantage of their 100-day trial period so you can see how it responds to your body before committing. The price ranges from $959 for a Twin mattress, to $1,599 for a California King mattress, and comes with a 25-year warranty. For sciatica sufferers looking for an eco-friendly mattress that is firm in the middle and softer on the ends, the Avocado Green Mattress is a great option. The Dromma Bed is made of 12-inch thick memory foam that is Certi-PUR US certified. The foam is made of three separate layers: a 1.5-inch top layer of responsive foam that will shape to your body; a 2.5-inch middle layer of Visco Elastic Gel gel foam that will cool and comfort; and an8-inch bottom layer of supportive poly memory foam that will provide you with stability. The Dromma Bed is designed to contour to your body and take weight off of your pressure points while allowing your body to sleep in a naturally straight line that supports your neck, back, and hips. 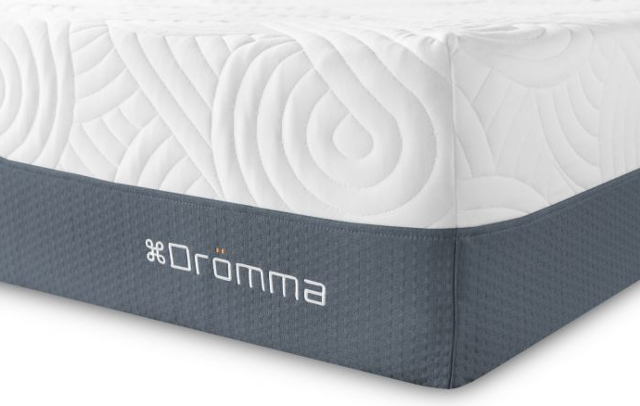 The Dromma Bed comes in one standard level of firmness, which has been described as medium-firm, though it would be good to test to see if the firmness is right for you. For sufferers of sciatica, the manufacturer suggests taking advantage of their 200-night trial to test whether it relieves pain or not. At $474 for a Twin mattress, and up to $1099 for a King or Cal King mattress, The Dromma Bed is an affordable option for people suffering from sciatic pain. 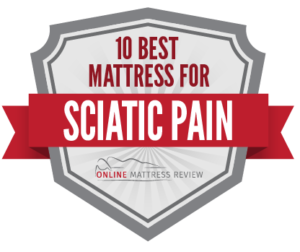 That wraps up our ranking of the top mattresses for sciatic nerve pain relief.